Last year the New York Times reviewed two websites that offered significant medication cost savings, for those without adequate insurance and, even for those with good insurance who are getting expensive medications. Since then we have had a lot more experience working with patients to help reduce medication costs and we can definitely say that these sites can help reduce costs quite a bit. The two sites that we added are Blink Health and Good Rx. Both offer to get you access to the type of discounts that pharmacies usually only offer insurance companies. 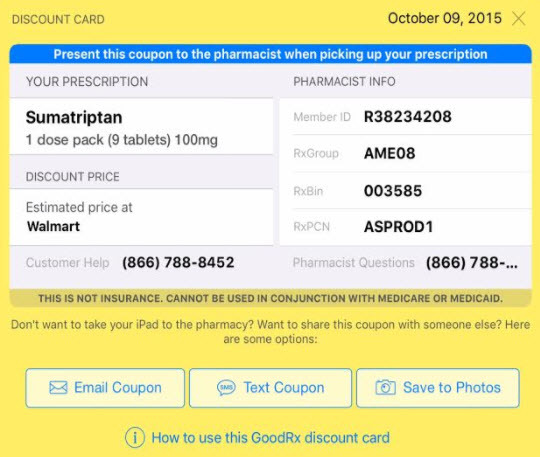 Good Rx also gives you access to discount coupons which you are asked to take to the pharmacy. Blink health actually helps you buy the medications. We have been particularly impressed with this site, which will show you costs at different pharmacies in the area (Costco continues to be the leader in medication cost savings … and a reminder that you don’t need to be a member to shop the pharmacy). As any good shopper knows, it pays to compare the deals on at least two shopping websites. We’ve updated the section of this website that provides links to information about lowering the costs of medications and that mentions the option of purchasing medications from Canada as well as information about these two sites. Canada as an option is a bit less reliable than it used to be since almost all of the so-called Canadian pharmacies are actually based elsewhere and mostly send you medications from India and other countries where quality control is not as strict as it is in the US, Canada and the European Community. You can find all of that information on our links page (you’ll have to scroll down a ways).